The Eagle Scope Mount from NiteSite delivers clear night vision regardless of ambient light conditions and is designed for long-range distances. 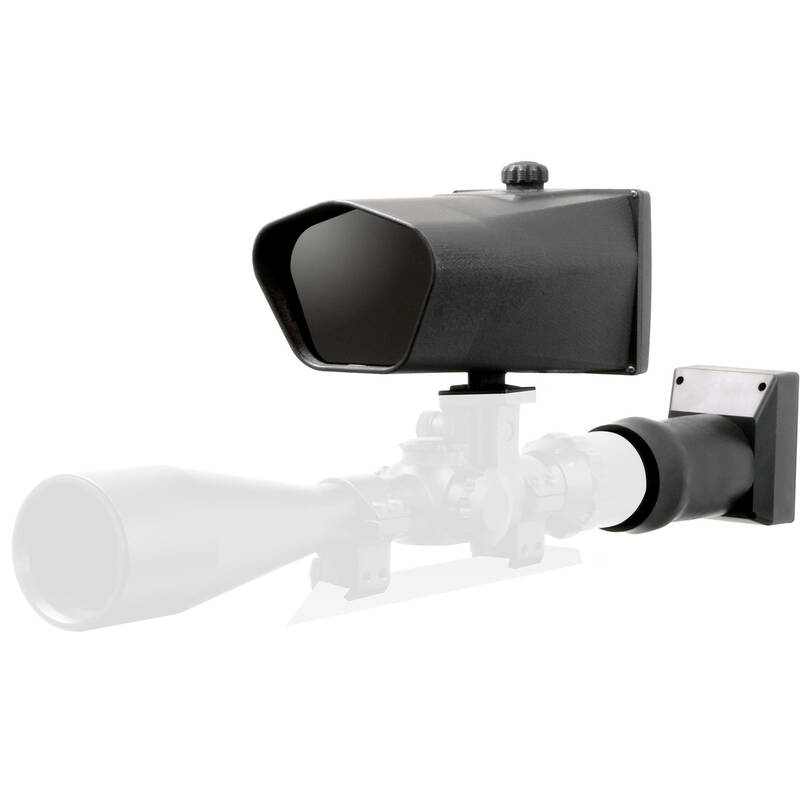 It has five infrared illuminators to light up the target area in front of where the rifle scope is aiming, allowing clear target identification up to 550 yards away. The infrared image is then captured through the rifle scope by a compact digital camera unit attached to the scope's eyepiece and then played back live to the hunter via the unit's 3.5" LCD screen. A video out jack enables recording. The Eagle is equipped with adaptable fittings that enable mounting onto many scopes and there is no need to recalibrate or adjust your scope in any way. It comes with a 5.5Ah battery that provides up to 25 hours of run time.